Casa Villa Mexican Restaurant is a local's favorite on the north end of the Grand Strand, located just south of the main traffic light in the heart of Little River on Highway 17. Very nice restaurant. The food and service were excellent. Will visit again. The best for Mexican food and the owners/staff are excellent! You can't go wrong here, very good food and service! Consistantly good food and service. We eat at Casa Villa several times per month for several years now. Best Mexican food we have found in the area. Very clean, nice atmosphere and friendly staff. The outside deck is great most times of the year. It feels like a garden area far from the bustle of Hwy 17. Management is constantly refreshing and innovating the interior. Great food, great atmosphere, and really really excellent Margaritas! We will be back! Excellent Restaurant. Clean, quick service, frosty mugs for your Corona's and excellent food. One of the best restaurants we've visited in the Strand. Been coming here for seven years and finally found a great place to eat. Highly recommend. Just returned from dinner at Casa Villa. Again, was the best Mexican food I could find here on the Strand. Am very surprised by the disappointing posts here, cannot imagine such regrettable experiences here. Seated comfortably and immediately, given lots of chips and salsa, orden taken in a very timely manner, and dinner was brought in short order. Enjoyed the double chimichanga, was made just right, variations to standard printed order were correct, the music was not loud, great value, in short, another excellent experience. We are lucky to have Casa Villa as a neighbor here in L.R. We visit Myrtle Beach area at least once a year. This is one restaurant that my family must absolutely have to go to while we are there. You get incredible portion sizes. I love a sangria every now and then and Casa Villa has such a fresh sangria it's like you can taste the individual fruit flavors. You get fresh tortilla chips & salsa delivered to your table with no wait. Truly authentic dishes & beverages. Try anything with chorizo!!! We have eaten here several times over the past few years. The food and service is outstanding. The best part is that they are consistent every time. Very Clean facilities, friendly employees. Food was very fresh with beautiful presentation. Excellent quality. I will return to this restaurant. The best you'll find here! Wonderful Food. The staff are so friendly. We go there every chance we get and have never had bad service or food. We live in North Myrtle and have tried other Mexican Restauants in the area and there is NO camparison to this great place! And we are very picky people. We LOVE it. Went there with a group of golfers. Seated quickly. Music too loud despite small dinner crowd. Servers too busy clowning around with each other to pay too much attention to drink glasses being empty. Had beef chimichanga - dry, shredded beef not well seasoned. Very thin and small portion. Refried beans were watery. Free nacho chips were good and salsa was fresh with cilantro dominating the flavor. Excellent food, delicious Margaritas, friendly and courteous staff, great service, and reasonable prices.Food comes out Hot, on heated plates.Excellent Mexican Food and plenty of it, Servings were large. Casa Villa is the best mexican food on the beach. The server are friendly and fod is served hot, quickly, and very clean. We tried Cas Villa after reading the reviews on this site. I swear, I must have gone to the wrong restaurant. This place was terrible. From the noise when we walked in, to the booths that were too small for 4 people to fit comfortably, to the burnt fajitas, to the beans that were supposed to come with our dinner but weren't brought to the table until we requested them 3 times, to the waiter who never came to see if we needed another beer . . . everything about the place was awful. There are too many other Mexican restaurants out there far better than this place! It would be worth searching them out! Have eaten here three times in past three months. Each time, wife says best she ever had. I have lived in Cali and visited Mexico, so let's not go overboard. It is DEFINITELY Mexican food for gringos. That said, it IS very good. Food comes out HOT, on heated plates. Anyone who has ever been to Chi-Chi's, and liked it, will love this place. And that is NOT a back handed compliment. Get the grilled taco plate, your choice of meat. I like the carnitas. Best value in the place, just make sure you ask for the corn tortillas, for a little more authenticity. Don't know what to say other than great food, awesome service at a great value compared to all the other overpriced places in the Grand Strand area. We loved it, the kids loved it and we'll be back! Great margaritas!. This is a great mexican restaurant. Food is superb. Everything is great about this place. This is a great restaurant for lunch or dinner. Everything is just delicious!!! Casa Villa has the best Mexican Food and Service. We eat at this Restaurant at least once a week. We have most items on the menu and everything is wonderful. I have had lunch and dinner at Abuelo's in Myrtle Beach and they are not even close to the quality of food or service. Casa Villa has the best Mexican food on the north end of the Strand. They have a little bit different menu than the average Mexican restaurant while still having all the regular favorites. The salsa verde enchiladas and potato burritos are sooooo good. Nice atmosphere and good drinks, too. I love Casa Villa! THE BEST Margaritas....!!!!!!!! Thanks everybody you are doing a great job ! Excellent food go there once a year. The Verde dish is good for me. The family enjoys the food as well. 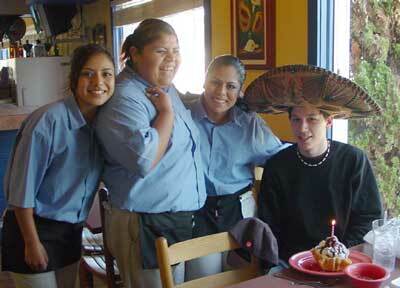 Excellent food, delicious Margaritas, friendly and courteous staff, great service, and reasonable prices. From the fajitas to the tacos, it's all excellent. If you are looking for good Mexican food, Casa Villa is the place to go. The Fajita Quesadilla is always excellent. I honestly have no idea how they maintain this sort of consistency. Most restaurants have minor fluctuations in the quality of any particular dish over time, but the Fajita Quesadilla at this place is spot on every time. I've eaten this dish probably 15 or 20 times over the last year and it hasn't let me down yet. Having lived in California, I have been exposed to some of the best Mexican food outside of Mexico. The food served at Casa Villa is the most authentic of any Mexican restaurant on the Grand Strand. The servers are friendly and food is served hot and quickly. We make this a stop on every trip to the strand. The food is good and the resturant is very clean.The same wait person four years in a row. Lunch menu a great value. Best we have experenced on the strand. The BEST place for Mexican food on this beach. The service and people are the BEST too!!! If you like Mexican food, and you like nice people, Casa Villa is the place to go!!! We gave our son his choice where he wanted to eat for his birthday, and he picked Casa Villa. Great food, and exceptionally nice people serving us and teaching us spanish! Great place that we'll go back to again and again. Get the Grande! It is great! A little bit of everything mexican. It reminded me of old Mexico when I visited years ago. The people there are great! They even take the time to teach you a little spanish! We will definitely frequent Casa Villa! Definitely no flavor to the food, needs nore spices..was very disappointed. Very fast service, food is always hot. You definitely get your moneys worth. The service at Casa Villa is the best! We eat there every few days and have never had to wait to be seated, nor have we ever had anything but perfect meals. Portions are large and the staff is great!